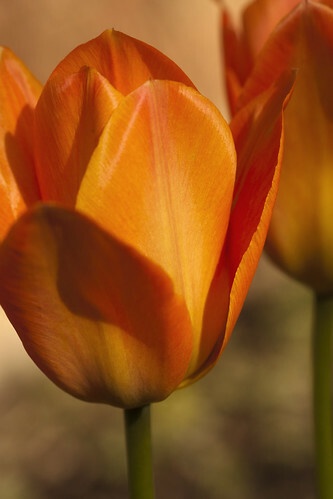 Orange tulips from the garden, a photo by The Shutterbug Eye™ on Flickr. Yes, two posts today, but I couldn't wait to share these beautiful tulips. I love the sunny orange color.